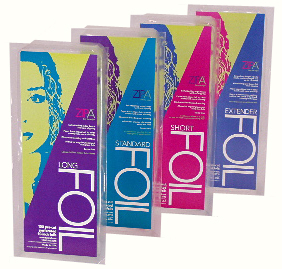 The ZipA foil is a hybrid performance hair coloring foil paper designed to combine all of the best attributes of competing products. We have listened to you and built the ZipA foil around your ultimate desires in a product. No longer will you need to spend endless hours trying to create the perfect hair masterpiece just to discover that your hair coloring solutions have seeped or not completely processed. We have taken all the guesswork out, and put you back in control. Pick your weapon. Regardless of your choice of competing products, they never seem to be able to put the whole package together. Many products on the market boast about some gimmick that will improve their otherwise obsolete products. Well let's cut to the chase. The ZipA foil is a new performance product designed from the ground up so don't plan on seeing patches on our shinny surface for quite a while. 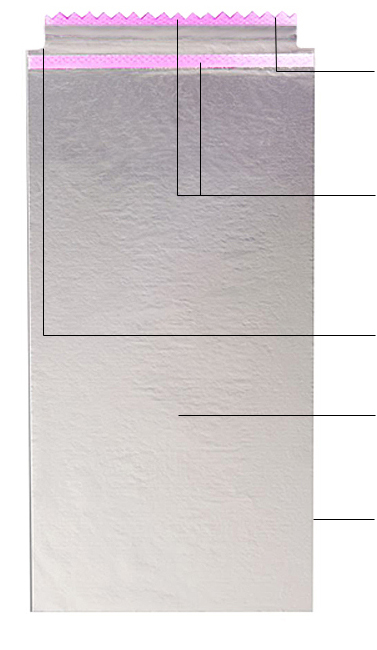 The leading edge of the ZipA foil is formed in a zig-zag or pinked pattern. This feature serves several functions. First, it allows the foil to attach closer to the root. Second, it works as a buffer to break up lines. Third, it acts as a built in weaving tool for hair selection and last, it performs as a gauge to insure that the proper amount of hair is selected during weaving. Unlike traditional foils, ZipA foils are self-attachable. Two rows of minute nylon hooks placed on the underside of the foil grasp the individual hairs and hold the foil in place. The first set of hooks at the leading edge secure the foil close to the scalp for precise coloring. The second row of hooks work as an anchor for directional positioning allowing the ZipA foil to be secured in any direction. The world is not flat and neither is the surface of our head. The notches at the leading edge of the foil allow the ZipA foil to take on a natural curvature to better fit the contour of the head. Foil is durable and a great insulator for containing heat. This is most often noticed in the food industry or at the end of a marathon on a cold day. Heat promotes color processing and foil is the perfect solution for this task. Paper is naturally absorbent and when a liquid is applied it remains stable. 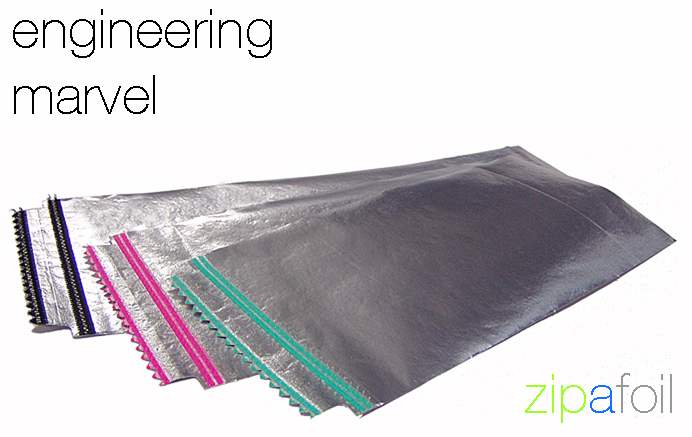 This ZipA feature is a major benefit, no longer will you need to fold your foils multiple times in order to contain the liquid solution from seeping or drifting. When the color is absorbed by the paper it forms a stable layer or color under and over the applied hair creating uniform coverage. This all adds up to even and enhanced color vibrancy. No need to tone with this feature. Click on the foil packages on the left to view our four versions of the ZipA foil and how we package them.